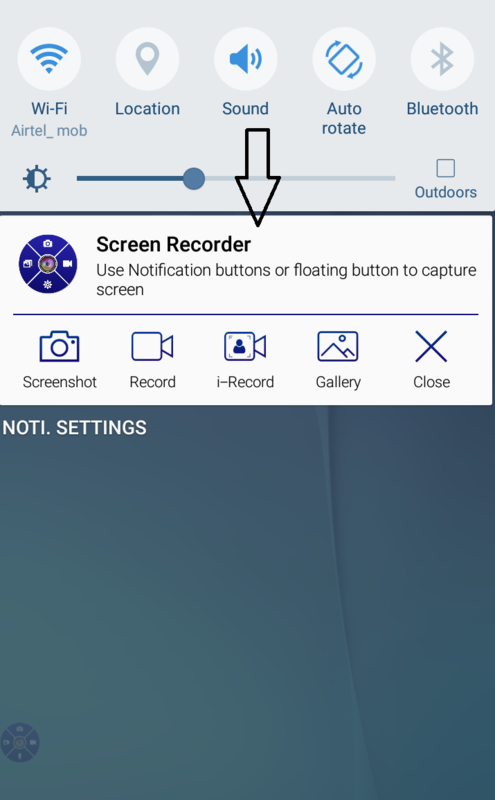 You can access Screen Recorder application in your notification bar. 1. You can record videos, capture images directly from your notification bar. 2. You can open or stop the application from the notification bar.